Peaceful and scenic best describes this wonderful property that is tucked away on 20 tree'd acres. 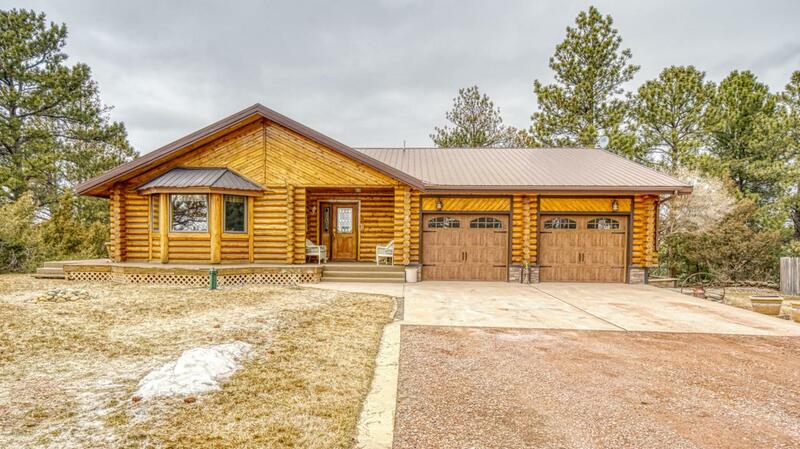 This log style home boasts 4 bedrooms, 3.5 baths and a 12x24 Sun room to enjoy the beautiful views. Amazing fenced in garden area and a 16x20 composite deck! The 42x26 shop with loft is insulated with wood stove and has 110&220 power. 34x42 barn/storage has 110 & 220 power and water. All 20 acres is fenced with pipe or t-post. Call or text Lisa Dymond ERA Priority Real Estate at 680-6254 for a private showing! Listing courtesy of Lisa Dymond of Era Priority Real Estate.